Leprosy is mentioned dozens of times in the Bible. Though at least some cases could have been mange, the disfiguring, seemingly incurable disease was apparently common in the Levant during Old Testament times, more than 3,000 years ago. It also terrified Eurasia: the earliest-known case in India dates to 4,000 years ago, and the Atharva Veda, written in Sanskrit over 3,000 years ago, seems to describe this very condition. Skeletons with apparently leprous malformations have been identified in Bronze Age Europe too, and Chinese literature written on bamboo in around 250 B.C.E. describes the suffering in detail. For all these ancient accounts, we still don't know when the disease originated, let alone where. Comparative genomic analyses place its origin in East Africa or the Near East. Other theories suggest it began in southern Asia. 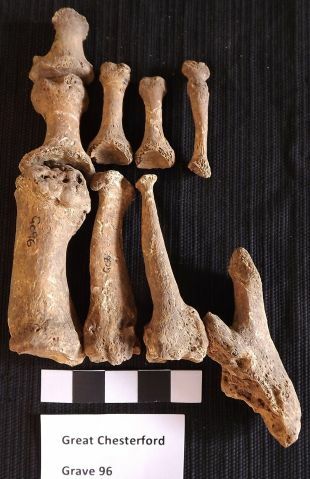 Now a new international study, published Thursday in PLOS Pathogens, has looked into the genetics of the bacteria in medieval European skeletons, and discovered much more diversity in Europe than expected. This leads the scientists to suspect a European or Eurasian origin for leprosy, because greater genetic diversity in an organism means it has had more time to evolve. This is true for bacteria, as well as for human populations, which show greater genetic diversity in Africa, where they all originated. Also, in a startling aside, the scientists suggest that red squirrels – of all animals – were involved in at least part of leprosy's spread. 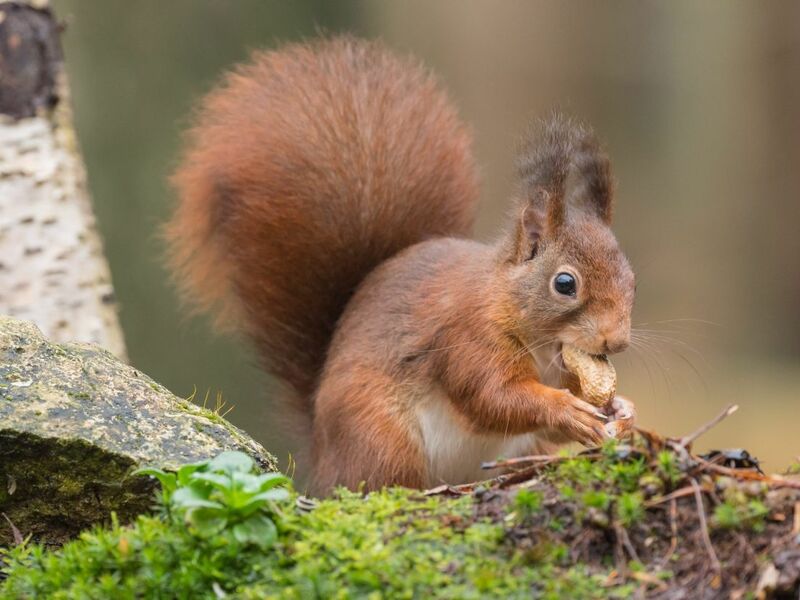 The squirrel, pet to some and pest to others, was fingered as a possible vector for Mycobacterium leprae bacteria in ancient England. No need to lay out squirrel traps: even though about 200,000 people a year still get leprosy today, it is treatable with antibiotics, and squirrels will not by choice go anywhere near you. For their study, scientists from the Max Planck Institute, the University of Tübingen, EPFL Lausanne, the University of Zurich and the University of Cambridge sequenced 10 ancient genomes from Mycobacterium leprae extracted from 90 medieval bodies that, judging by the distortions left on the bones, had leprosy. All the bodies were European and dating between 400 C.E. to 1400. It's really hard to extract usable DNA from ancient bones; that's why only 10 of the 90 bodies yielded suitable DNA. 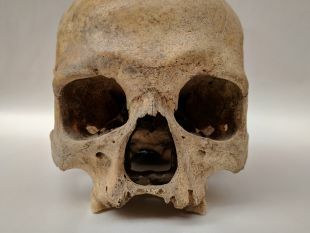 The 10 newly sequenced medieval leprosy bacteria genomes enabled the scientists to trace 1,500 years of the disease's history in Europe. The diversity they found startled them. The earliest of the tested skeletons came from Great Chesterford, Essex, England, and dates to between 415-545 C.E. "This is the oldest M. leprae genome sequenced to date," write the scientists. And this is where the postulated squirrel connection comes in. It turns out that ancient Chesterford Man and the latter-day Red Squirrel had the same strain of leprosy. So did three skeletons from Denmark. One's mind leaps to bats possibly being the origin of Ebola virus, or birds being the source of SARS, and let's not even get into dogs and zoonotic malaises - but first of all, leprosy is a bacteria, not a virus. Secondly, if anybody infected anybody, we probably gave it to them. "It is very likely that humans gave leprosy to the squirrels," as opposed to the other way around, lead co-author Verena Schünemann of the University of Vienna told Haaretz. Once we infected the hapless rodents, who develop bald spots, lesions and other symptoms similar to ours, it could have spread far and wide through trade in their pelts. Or, even more likely, cuddling. Medieval Europeans liked to eat them, but also frequently kept them as pets, even taking them for walkies on leashes. So soft-hearted Europeans and the squirrel fur trade may have contributed to the spread of leprosy in Europe, just as armadillos today are helping to spread the illness in the Americas. Anyway, the squirrel factor is a diversion, albeit an intriguing one. The point of the paper is that there were many more strains of leprosy in medieval Europe than the two that had been known to have existed. The sheer proliferation of leprosy strains in Europe indicates that leprosy had been around there for longer than thought, making Europe a candidate for leprosy's origin. "We do not favor one particular model," Schünemann explains. 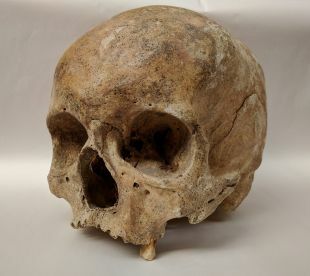 "We just argue that based on our results - the high diversity in medieval strains in different time periods leprosy may already have been widespread throughout Asia and Europe in antiquity, or might have originated in western Eurasia." Schünemann notes that no genomic data exists on ancient leprosy bacteria in key parts of Asia and Africa, but the European data – showing diverse leprosy species – helps the scientists calculate when the First Mycobacterium leprae existed. At this point, by calculation of the molecular clock, the ancestor of all today's leprosy bacteria is estimated to have lived 4,515 years ago, she says. The leprosy strains they found in the ancient European skeletons represent all known strains, including ones today found in Asia, Africa and the Americas, write the researchers. And remarkably – they also found multiple strains in the same cemetery. What about all those ancient texts referring to leprosy? 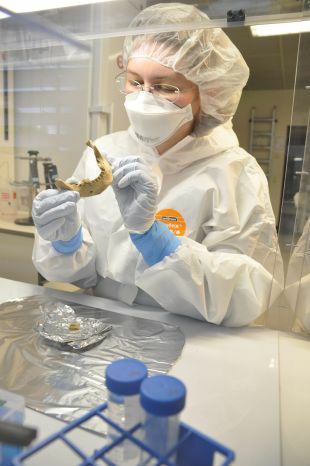 The appearance of lesions in ancient bones is indicative of, but not proof of, leprosy, explains Sarah Inskip, a forensic anthropologist from Cambridge University. Lesions are characteristic but not conclusive indicators of the disease, Inskip says. In other words, the Bible may lay down rules apparently designed to keep lepers separate lest they spread the malady, but that doesn't prove they really had leprosy, and we cannot know until we find molecular proof in their remains. Or the remains of their pet squirrels.